Care N’ Care Health Care is a supplemental insurance for Medicare. The plan provides additional benefits that Medicare does not usually cover. Care N’ Care also offers pharmaceutical benefits to its policyholders. 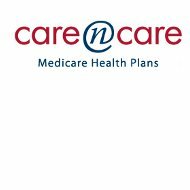 Care N’ Care Health Care is offered to residents who live in Johnson County, Parker County, and Tarrant County and are enrolled in Medicare Part A and/or Part B. Be sure and review the counties zip codes that are eligible for coverage as it varies per county. Care N’ Care agents can be contacted at (817) 810-5213 or by sending an email to [email protected] You can also set up an appointment for an agent to visit you in the convenience of your own home. Medicare recipients can also enroll in the program directly on the Medicare website at www.medicare.gov. If you would like more information regarding the Care N’ Care Health Care plans, you can submit a request via email by filling out your name, phone number, email address, and address. You also have the option of checking what you are interested and how the agent should contact you: by email or through the mail. Coverage applies for in network participants, although out of network participants are also covered but at an additional cost. A complete summary of benefits is available on the company’s website for the different plans offered as well as a provider directory and list of covered prescription drugs. Care N’ Care Benefits include additional coverage for prescription assistance. To find out if you qualify for prescription assistance, you can call 1-800-MEDICARE, Social Security Administration at 1-800-772-1213, or your local state Medicaid office. Policyholders can also click on the tool to see if you qualify for “LIS Assistance” which enables prescription assistance to policyholders. There is a sliding scale for monthly premium assistance, which can be viewed on the company’s website. There are two different levels of the plan: Care N’ Care Plan I and Care N’ Care Plan II. The monthly premium depends on the amount of assistance policyholders are eligible. For example, if you are eligible for 100% assistance, your monthly premium is at no cost to the policyholder for either Plan I or Plan II. If you are eligible for 25% of help, your monthly cost is $21.75 for Plan I and $56.25 for Plan II. These amounts are in addition to the Medicare Part B expense. There are also mail order pharmacies available as part of the Care N’ Care plans. Cost for prescriptions depend on the plan which you participate in and whether or not the prescription is filled at an in-network preferred or in-network non-preferred pharmacy. The cost also varies depending on whether it is a generic, preferred brand, or non-preferred drug. The website also allows their policyholders to use its interactive tools. The interactive tools include a test to determine your stress level, a questionnaire to determine how many calories you burn, and one to figure out how much smoking is costing you. There is also a library regarding men’s health, women’s health, and children’s health. In addition to these topics, the library also discusses health topics and symptoms, medical tests and medications. You can even check your symptoms to see if you should see a doctor. Another benefit of the site is a checklist that you can ask the doctor the next time you go for a visit in addition to the self-care checklist that is available for policyholders to review. Procedures and forms on how to file these are outlined on the company’s website. Care N’ Care is also technologically savvy, in that you can visit the company on their Facebook page. Care N’ Care careers are not available on the company’s website. However, you can find career opportunities by searching on the Internet and on sites like simplyhired.com. Care N’ Care customers give Care N’ Care an overall three out of five stars. The customer service rating is four out of five stars, and their complaint score is two and a half stars out of five stars. Drug pricing and patient safety rating reviews gave the company three out of five stars. horrible. Do not do business with them. Go elsewhere. I have Care n Care. When the time comes, I’ll go with someone else. It is hard to find a doctor that is on their list. I was on AARP medicare advantage. I’ll go back to them. I’m so upset trying to find a doctor who takes Care n Care insurance. I signed up with Care n Care 2.5 years ago when I turned age 65. I did need to change Physicians but I found several highly qualified ones at a clinic closer to my home: they have been great! The service has been absolutely great: much better than my previous physician. I took my time and searched all the available Medicare Advantage plans and could find no other plan that provided the level of benefits for the price! I also like that they are local and if I should have a problem all I need to do is get in the car and drive over to see them. To me, that is a read advantage! I am in the process of reviewing options for next year, but as of today, I have not found anything comparable. Optional Dental Plan could be better. Good job, Care n Care! This so-called INSURANCE COMPANY is PRYING on the elderly in our communities!!! First: They “come a knocking” on the elderly’s home, telling what great benefits they will have, if they drop Medicare and choose Care&Care. They lead them to believe that they have the same benefits or better than Medicare and sign them up. Second: The elderly find themselves needing the benefits because they have has a serious illness. Oh well, let’s see…you have 15 to 30 days of coverage! Yet, I have had a stroke, surgery or heart attack and need to remain in the Hospital/Rehabilitation Center for longer than the 15 to 30 days…SO WHAT, have your families pay $100 a day for the remainder of your stay,or go home!! In essence, this is what this “SO CALLED” Insurance COmpanay says and does to our loved ones!!! And by the way…don’t forget to pay your premium!!!! Had our elderly remained on Traditional Medicare, they would have up to 100 days of coverage with no out of pocket expenses!!! Care&Care only CARES about the revenue they are receiving from the elders of our communities!!! My goal is to solicit the Legislature/Government to look into this company and do something about how they have Preyed on our elderly. This is not only going on in Texas but all over our Country. I am designing a petition and gathering an awareness team to SHUT you down!!! If you need to contact me, feel free to do so. You WILL NOT continue to abuse the elders of MY COMMUNITY!!! I am in disbelief at the way this company has operated. They tell lies and turn facts back around in an instant to make it look like the insured is a liar. It is very upsetting to be treated so ugly after it is Care N Care who does not have their act together. This is the worst thing I have ever experienced and social security had told me I could change providers in my first year. My nerves are now shot. the only reason I gave one star is because I can’t give NO stars. customer service? there is none. I am STILL waiting for a call back(7 hours now) on coverage questions. and network? before I enrolled, I looked at the ppo list, and it looked pretty good. I should have called, because now that I am enrolled, the first 3 doctors i called DO NOT participate in care n care, the 4th spoke broken english, and the 5th is not accepting new patients. after several calls to medicare(which, btw, are a LOT easier to get a hold of), i find out the reason places like this are in business is because they get a monthly fee for every medicare patient enrolled. This is an excellent company. They really care about their members and their benefits are among the best. carencare stands out from other plans like aarp. I used to be on aarp, but they treat you like a number, not a person. my wife and I joined the plan after our friends told us about their great service. They have delivered and we made the right decision. Terrible! Call “concierge” 4 days ago w/question about correspondence from them. Not a word. Seems all hype about so called customer service. Guess I made a mistake-don’t make the same one. Carencare is the worst insurance provider. Especially their plan administrator Avesis is a highway robber. They are the worst to do business with. I have filed a complaint against them with the Texas Department of Insurance Problem Report ID# 79135. Come November 2015, I can’t wait to switch to another plan. Anyone in my situation should avoid them like the plague. My wife and I have been on the PPO Advantage plan for 3 years. We have neither one had a problem with any of the plan. We see the doctors we always have seen with the exception of dermatology. We have found good doctors in that field. Probably rates 5 stars, but I never rate anything the best. I was told that the concierge program was a pet project of the CEO of care n care, well he should train these people to actually know how to do the job. First, answer the phone. Second return calls. I could go on, but you get it they just don’t engage. I called with a question, finally got someone and was told I would get a call back with an answer. Time went by, no call. I called again, went through the effort of trying to get someone and was told the answer was in my profile – so great the computer knew the answer but the “concierge” who put it in the computer never called me with the info. Good financial coverage but terrible communication within the company and no way to get past the “concierge” to let the company know, and I guess that is the company plan. Just wrote a review while waiting to get through to “concierge” at care n care. Was told by answering service concierge would be there till 8 pm, also the time given to me by care n care. So I called about 5:10 pm. Care n care message said hours 8a to 5p??? Called the answering service and they confirmed they had 8p as the time that calls were accepted. Checked all communication I have from care n care and no notice of time change. This company shows no regard for customers in my experience. Companies rely on the elderly not knowing how to complain, this is, in my opinion, elder abuse. In essence, I do not have any coverage because they can’t seem to get me a card with the correct information on it. Been trying to get this resolved since 12/15/16. Now I’m going to contact Medicare to get a waiver on the enrollment deadline. Do not use them – I will change providers as soon as I can. If you actually have to see a doctor, good luck getting your bill paid. For the second time in 4 months, I have received a bill for a service that is covered by their plan, but they just haven’t bothered to pay it. It took a whole 4 months of constant phone calls to get the first bill paid.